Vijay Deverakonda is set to be back in the theatres yet again. 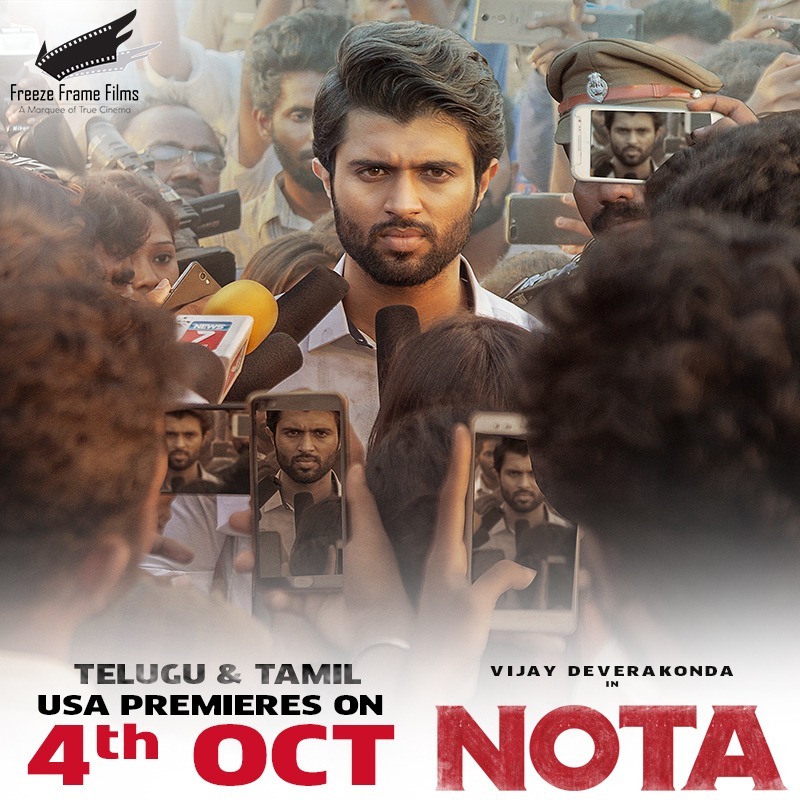 After the back-to-back success of his films Pelli Choopulu, Arjun Reddy and Geetha Govindam, which became trendsetters respectively in terms of content, style and box office moolah, the actor is now going to be seen in NOTA. With this film the actor is set to notably venture into Tamil cinema, an arena he has wanted to step in to, provided a good opportunity comes up. Directed by Anand Shankar, the film is a Telugu-Tamil bilingual that notably has Vijay dubbing for himself in Tamil, after putting in a great deal of effort to learn the language. The movie also comes in a time when there’s a lot of political discussion going on around the Telugu speaking states of Telangana and Andhra Pradesh, and Tamil Nadu too. And this has garnered a great deal of attention around the film. Also, the trailer of the film managed to impress several people with everyone talking about a possible game changer. Well, Vijay is surely the latest sensation of south Indian cinema with an interesting choice of films and we are glad to be associating with a versatile actor like him once again after we had brought Pelli Choopulu to the US. The film releases worldwide on October 5. Yet again, for the audience in the US, Freeze Frame Films – the overseas distributors for the flick – has planned a grand release, with premieres a day ahead on October 4. The political thriller stars Mehreen Kaur Pirzada as the female lead in NOTA while Sathyaraj and Nassar will be playing key supporting roles. Watch the film in your nearest theatres soon! Keep watching this space for more.